Joseph Northrop was born in Brookfield, Connecticut on June 13th, 1766. Charity, his wife, was born in Stratford, Connecticut on February 6th, 1769. They left Brookfield for Cornwall, Connecticut in February of 1796; some years later making their way to Medina. When the Northrops arrived in 1816 there were only two families living in the township. They first settled in Lot 30 on the bank of the Rocky River on the north side of the east and west road (now known as Fenn Rd.). In the first township election on April 6, 1818, Joseph was elected as one of the first township trustees. After seven years, they moved to Lot 56. Joseph Northrop purchased the entirety of Lot 56 – 185.97 acres – from Elijah Boardman on August 17, 1818. 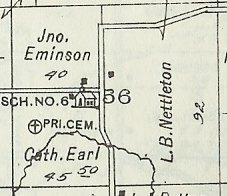 He sold part of this land – 70 acres – to his son Nira B. on June 1, 1822 (recorded in Volume A&B, page 491 of the Medina County Land Records). This parcel consisted of most of the western half of Lot 56. 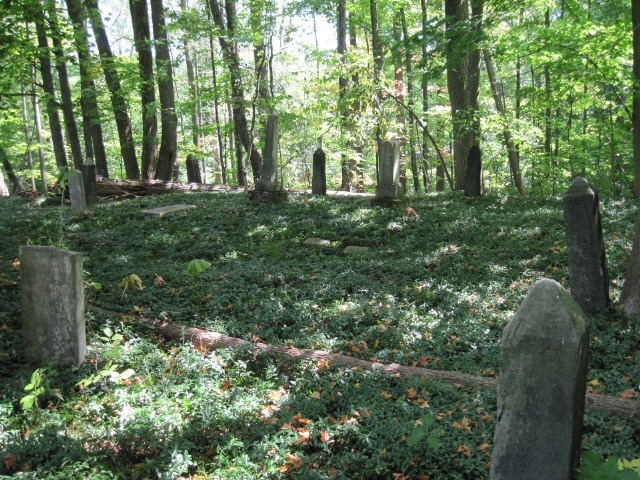 When Joseph’s mother, Nancy Northrop, died on August 22, 1824 he selected a prominent ridge on his property to serve as the family burial place. Her interment would be the first one made there. On April 20, 1840 Joseph sold 28 acres of land to his daughter Mary Ann Northrop (Volume U, page 299). In the southwest quadrant of Lot 56 (contained by Granger and Nettleton Rds. ), this parcel consisted of the western part of that area. As mentioned prior, the cemetery is a square with sides thirty-three feet in length. It was surrounded by an iron fence about three feet in height and connected by stone pillars which are placed every eleven feet. Most of the iron fence has long since disappeared. The cemetery is laid out as four rows of graves, each row allowing for ten or so burials. 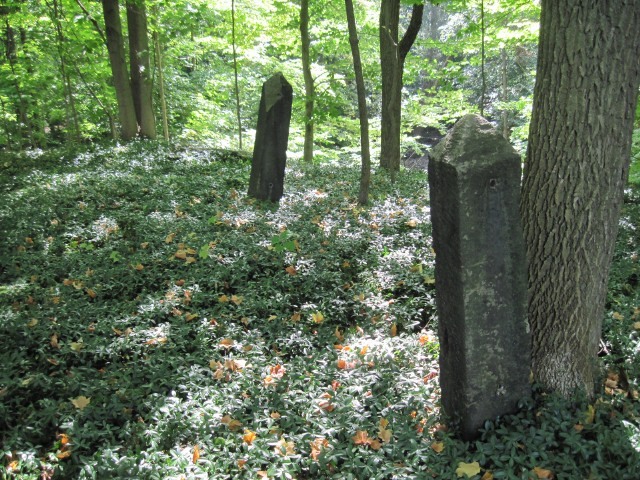 There are no visible lot markers – not surprising being a family burial ground – though there are some groupings of family members. 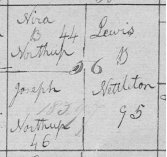 The Nettletons are related to the Northrops by marriage. 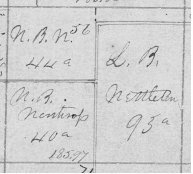 Nira B. Northrop’s wife Abigail is a daughter of Daniel & Eunice Nettleton. Her brother Lewis B. Nettleton owned the western half of Lot 56 for many years. The two Nettletons found buried in this cemetery are sons of another brother, David. Despite the exemption the cemetery is not recognized as a separate land entity in the current tax map records. Eventually the family began burying its dead in larger community cemeteries and interments here ceased. David and Elizabeth Nettleton buried their sons here but they are buried in Bagdad Cemetery. Morris and Relief Northrop buried their son here but they are buried in Spring Grove Cemetery. The son of Benjamin and Laura (Northrop) Potter was the last known burial here in 1886 but they were buried in Spring Grove. There is even evidence that bodies were removed from here and reinterred elsewhere. No original records exist for this cemetery. The only burial information has been compiled from the remaining headstones. 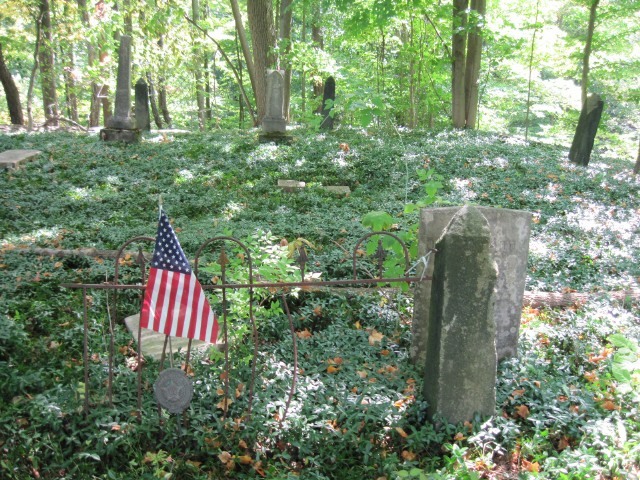 Despite the presence of at least one veteran burial, the WPA did not do a survey of this cemetery.